Life throws stuff at us. Things get in our way, or don’t go our way. Projects don’t work out. Relationships go sour. Life gets hard. But as they say, when life gives you lemons, make lemonade. The best way to handle the stumbling blocks strewn in your path is to use them as stepping stones. Reframe things – Sometimes how we’re affected by something is a direct result of how we see it. Simply noting our stumbling blocks, and shifting our perspective so that we see possibility instead of obstacle, can help us find a way to move on and succeed anyway. Reach out – We often stumble more when we stumble alone. The block that is getting in your way and causing you to misstep? Use it as an excuse to find a mentor, a coach, a supportive colleague or friend. Use it as an excuse to not go it alone, and to build a new relationship. Learn, and learn some more – Life is more full – and more fun – when we’re learning. Missed a key point of data as you worked through a problem at work? You can see your project and process (and self) as a failure, or see the problem as a learning opportunity. Find a new outlook – It was Thomas Edison who said, “I have not failed. I have merely found 10,000 ways that did not work.” Edison recognized that every “failure” – every stumbling block – was a necessary step (or stepping stone) along his way of inventing the light bulb. Every “failure” – every stumbling block – can help us, or force us, to see things differently, try new options, and innovate. We will most likely stumble, again and again. But we have the chance, the choice, to turn our stumbling into stepping stones…and to continue to move forward and lead well. 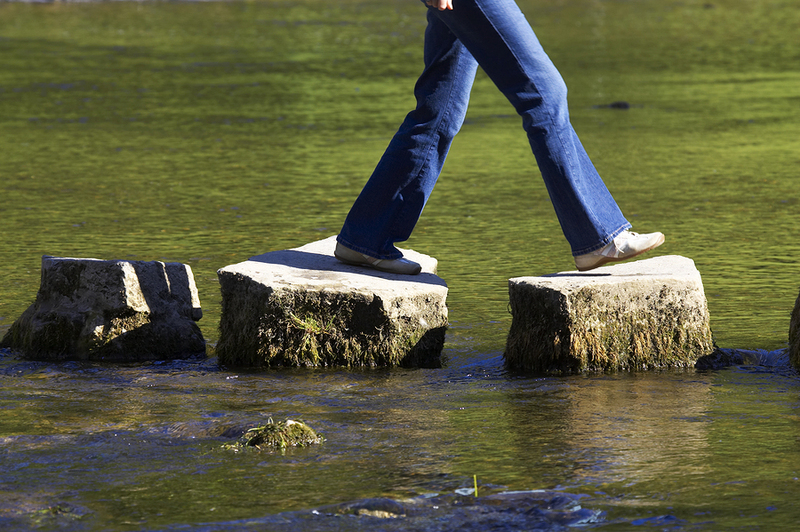 What stumbling blocks have helped you move forward? How? If you enjoyed this post, you can read more like it in our book, The Power of Thoughtful Leadership: 101 Minutes To Being the Leader You Want To Be, available on Amazon. For supporting in making stepping stones, contact Lisa at lkohn@chatsworthconsulting.com. About 7 hours ago from Thoughtful Leaders's Twitter via Hootsuite Inc.
About 10 hours ago from Thoughtful Leaders's Twitter via Hootsuite Inc.